If you approach your boss for tuition reimbursement with a list of reasons why getting a college degree is a good idea for you, then good luck getting them on board to help pay for it. Of course a degree is smart for you. How is it smart for them that you have one? That’s the real question. 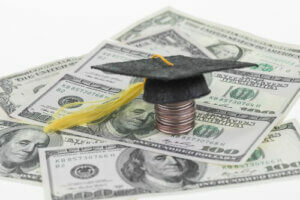 According to a Monster article, getting your employer to pay for your education may require you showing them how your educational goals align with corporate objectives, backing up your claims with hard facts. Scoring tuition reimbursement probably won’t happen if you haven’t done good things for your company yet. Don’t present the priciest option to your employer, unless you can absolutely show that it will pay off the most for the company. It will seem like you’re using them to land an incredible deal on college. Come with a couple of options but ready to present just one. The more you know about the rates and the school, the more it will show the employer that going there is important to you. It also helps your case if you mention that you’ll be applying for scholarships and grants and are only asking if they’ll pay for the remaining bill. It shows you’re not just trying to cheat them out of money. Worst case scenario: They say no. Best case scenario: You land a college degree for free or cheap and continue working for a company where you’ll use it. It never hurts to ask. Just don’t go in unprepared and you may actually have a shot. Get to working on your proposal! Jon Fortenbury is an Austin-based freelance writer who specializes in higher education. He’s been published all over the place, ranging from the Huffington Post to USA Today College, and first got published at age 10. Follow him on Twitter (@jonwrites). This article is originally published on Schools.com.